Public domain: a concept that evokes thoughts of music, photographs, paintings, and other creative works of art … and their relationships with copyright policy. From another perspective, public domain is all about shared availability, the common good … much like our natural resources. As nearly 40 people gathered for a conservation field day at Paustian Family Farm just outside Walcott, IA this past week, this idea of water in the public domain was an ever-present undercurrent in the conversations among area farmers, landowners, rural and urban residents alike. In addition to in-field conservation practices like reduced tillage, cover crops, and a close eye on nutrient management, host farmer Mike Paustian is now taking conservation to the edge of the field as well. In fall 2017, the Paustians installed a saturated buffer on their land to specifically address the challenge of nitrates in tile drainage water. Saturated buffers are a field-scale practice, treating subsurface tile drainage water from 30-80 acres of cropland. The presence of an existing streamside vegetative buffer is a great first step, and makes the installation a breeze. In order to “saturate” the existing buffer, a flow control structure and lateral tile line running parallel to the stream (700’ long, in this case) are installed. Quite a bit of the water then moves through that new perforated tile line parallel to the stream, slowly trickling out of the tile, working its way through the soil. On this journey to the stream, the water is in direct contact with plant roots and the soil itself – where the biological process of denitrification occurs. Under saturated, anaerobic conditions, naturally occurring bacteria breathe in the nitrate, and then transform it to atmospheric N2 gas, sending cleaner water to the stream (to the tune of 40-50% nitrate reduction). As Iowa’s water quality continues to garner attention locally, statewide, and even on the national level, that concept of water in the public domain resonates strongly. Bringing urban and rural people together to see how we can work for positive improvements in water quality is a step in the right direction. 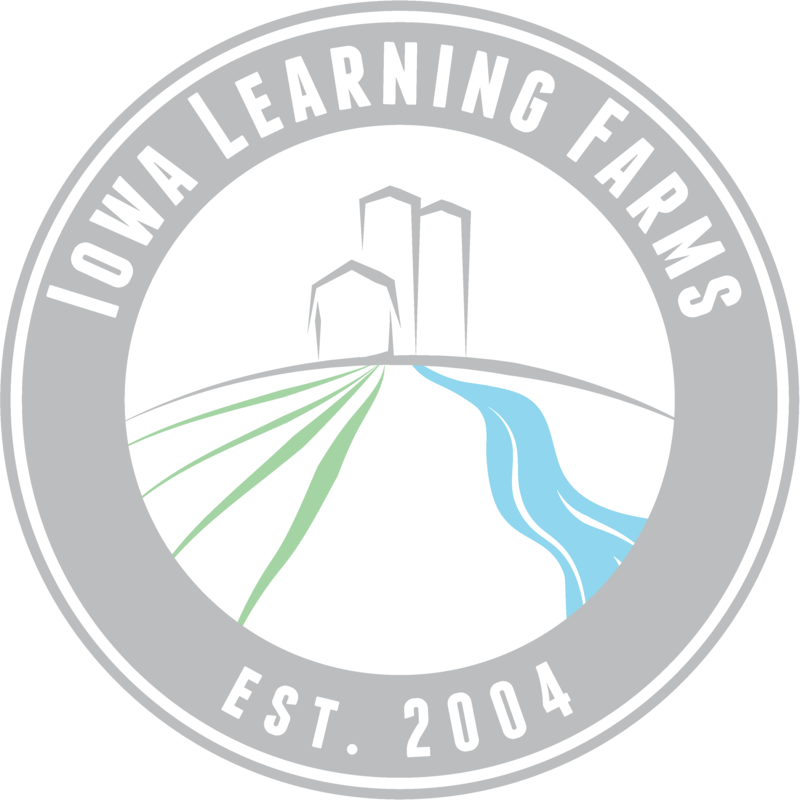 This field day was an excellent example of the engaging conversations and positive dialogue we at Iowa Learning Farms hope to facilitate surrounding water quality, soil health, and our agricultural production systems across the state of Iowa.